(from left to right) – Pia Huang, Marketing Manager, MSI Malaysia; Beh Kok Seong, Senior Sales Planning Manager, MamyPoko; PY Choy, Chief Executive Officer of Momentum Strike (exclusive distributor of Coleman); Wong Siew Lai, Vice President of Marketing Communications, 11street; Margaret Chin, General Manager, AmorePacific Malaysia (Laneige); Niklas Yong, Marketing Manager, Primer Group of Companies; and Yvonne Wong, Marketing Manager, Philips AVENT with talented dancers from 11street at the launch of 11street’s ‘Shop The World’ campaign. 11street (www.11street.my) today announces the launch of its international online shopping event campaign – ‘Shop The World’, to bring to consumers millions of internationally-branded products especially from countries such as China, Japan, Korea, Taiwan and USA. 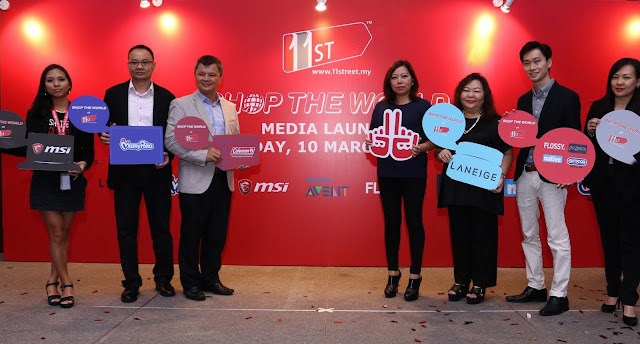 Wong Siew Lai, Vice President of Marketing Communications, 11street shares that the ‘Shop The World’ campaign is 11street’s brainchild, to satiate the growing consumers’ demands for greater product variety and renowned global brands online with enticing deals and promotions. (from left to right) – Pia Huang, Marketing Manager, MSI Malaysia; Beh Kok Seong, Senior Sales Planning Manager, MamyPoko; PY Choy, Chief Executive Officer of Momentum Strike (exclusive distributor of Coleman); Wong Siew Lai, Vice President of Marketing Communications, 11street; Margaret Chin, General Manager, AmorePacific Malaysia (Laneige); Niklas Yong, Marketing Manager, Primer Group of Companies; and Yvonne Wong, Marketing Manager, Philips AVENT at the launch of 11street’s ‘Shop The World’ campaign. “Today, 11street has close to 10 million products listed on our platform and as a matter of fact, more than half of them are popular cross-border products and international brands. As one of the leading e-commerce platforms in Malaysia, we want consumers to be able to shop the world without needing to leave the country. 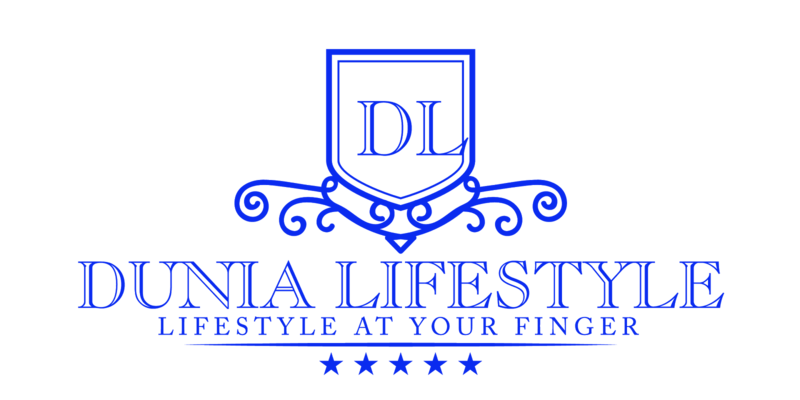 To do this, we have struck up partnerships with popular global names. Through these partnerships we have ramped up our offerings for the benefit of our consumers,” Wong adds. The campaign will see synergies between 11street and three leading global e-commerce players – its parent company, 11street Korea; UiTOX from Taiwan; and *WorldFront from Australia, which brings with it a large variety of popular overseas products. Kick starting from 11 March, the ‘Shop The World’ campaign will see 11street offering promotions on international products and global brands at up to 99% discounts and free overseas shipping for selected items, on top of giving away total RM1million worth of petrol vouchers for consumer purchasing items from the campaign listings, as a bonus to encourage more consumers to shop online, save cost and manage rising costs of living. In conjunction with its ‘Shop The World’ campaign, 11street conceptualised a music video titled ‘Kamsahamnida’ to commemorate the campaign. Exclusive Pre-orders and Irresistible Deals Available. It’s So Easy, Click-Click Saja! Also taking part in the campaign are established global brands such as Coleman, Laneige, MamyPoko, MSI, Philips AVENT and Primer Group (the local distributor of International fashion labels such as Flossy, Jansport, Native, and Outdoor Products) making the ‘Shop The World’ campaign a truly holistic one, and positioning 11street as a global marketplace galore with bundled promotions, shocking discounts only available on the platform, and exclusive pre-orders for the most anticipated gadgets coming to town. The ‘Shop The World’ campaign comes with a shopping bonus in the form of petrol vouchers up for grabs. In view of rising petrol prices, 11street is going the extra mile, by offering RM10 worth of petrol voucher for every RM100 spent on products and brands registered under the ‘Shop The World’ campaign. 11street conceptualised the ‘Kamsahamnida’ music video to mark the launch of its ‘Shop The World’ campaign. The ‘Shop The World’ campaign will run from 11 March to 18 April, encompassing deals that will see consumers through upcoming festive periods. For more information on the ‘Shop The World’ campaign on 11street, please visit http://bit.ly/shoptheworld11street.